As the weather here is getting rather scary, we are expecting a hurricane this week, I can only hope that each and every one that will be affected by this storm will be safe. It is hard to believe that the summer is over and all the regional conferences have come to an end. My many thanks to all the State Masters that I met for the first time, who made my time very warm and welcomed. Each regional conference has a unique story and from each I will take memories with me for a long time. I hope I was a help to the ones needed to be helped with their Junior Granges and the ones who took words of wisdom back to theirs, I hope I can be of any help to you in the coming year, and that you will not hesitate to get in touch with me. Now is the time to be looking at what you might want to enter in the contests that have been given to you in the 2011 Junior Program book. I am looking forward to seeing your entries. Make sure you check all the deadlines as they need to be sent out to Oklahoma for judging on the National Grange level. Many of the deadlines have come and gone, but that does not mean that you cannot enter them next year. Do you have someone who would be a good choice to represent your state as their ambassador? Do you have someone who has good luck in bringing in new members? If so, let me know about those juniors. Many new ideas have been given to me as I traveled the country this year. To those of you who came to talk to me during a regional conference, I say thank you. To all the State Junior Directors and Junior Leaders who work hard each time they get together with their Junior’s, I say thank you. You have shown us that you care and want our family organization to continue on the junior level. To those of you who would like to start a Junior Grange in your area, what better time to start one than now. We have so much to give to them and they have so much to give back to us. It’s time that we make an effort to support them in any way that we possibly can. With the continuation of our Junior Granges, our organization can never end. So why not start one now? I hope by now that you have taken a look at the new program book that I have provided for you for next year. There have been some small changes and also a big change to programs that you have been accustom to doing during your year. If at any time you would like to see new programs implemented into this program guide, I am always open to suggestion, and who knows, maybe we can put some old ones that have been around for years aside and bring in more that would keep the interest in our kids. 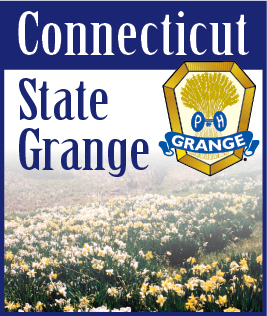 With the National Grange session coming in just a matter of weeks, I hope to see new faces that I did not get to meet along the way this summer. Make sure you take time out to speak with me and let me know how I can help you in anyway. This is my assignment and I hope to be able to deliver to you all that I can. I have sent out a survey to each State Junior director and I am in hopes that you will take the time to fill it out for me. If you don’t have a Junior Grange within your state, this is what I need to know and hear. With this information, it will not only tell us what we have for Junior Granges, it will tell me where my work begins.